Get the cheapest price on Call of Duty Infinite Warfare video games from your favourite online retailers and enjoy massive savings on your online purchase. Composed of three amazing and unique game modes, multiplayer, campaign and zombies, it's easy to get hooked and engaged. You can compare rates from different video game consoles: XBox One, PS4 and Microsoft. Make sure to use voucher codes plus special offers so you won't have to pay full price. Find the best deals from Tesco, GAME, CDKeys, Grainger Games, Base, ebay and Simply Games. Free delivery of free click and collect are also available. Call of Duty Infinite Warfare PS4 / XBOX ONE - JUST £5 at TESCO! Call of Duty: Infinite Warfare PS4 £9.99 + FREE DELIVERY! PRICE DROP! £35.85. Call of Duty Infinite Warfare Legacy Edition PS4. Best Call of Duty Infinite Warfare deals and voucher codes available online! To talk about the history of Call of Duty can be an extensive topic. It is because the game has been a part of the market for almost over a decade now. With its various editions and collections, more and more new players find themselves hooked in Call of Duty, which is not surprising. The game is not only solely for fun. It becomes more challenging and tougher too as you follow the storyline, which is ideal. The expansions of Call of Duty have invited more players. Way back when it was released in October 2003, it was only bound for the PC gaming platform alone. Hence, most players were given the opportunity to be a soldier in a certain epic battle of good VS evil. The game was already set to be a first person shooter. Since Call of Duty grew in popularity, it began counselling games in various platforms too, which was evident in Call of Duty 2 - available in Xbox. As a matter of fact, it can also be noted that the same version was also released for smartphones and cell phones during those times. After the release of its third version, its fan base grew bigger. The launch of Call of Duty 4: Modern War Fair opened the door for a more mature audience for the game. This can be attributed to the improvement of its graphics during that installment. Hence, it also paved way to many other platforms too - like the Nintendo Wii this time. With its diverse features, you might think that getting this game may cost you a fortune. Well, think not because there are so many affordable deals for Call of Duty you can take advantage of from the internet. Check on them and get the version you will surely enjoy. Where Can I Find Cheap Call of Duty Infinite Warfare Deals Online? Are you looking for cheap Call of Duty Infinite Warfare Xbox One or Call of Duty Infinite Warfare PS4 Legacy Edition deals online? If you are an avid fan and wants the latest version for Xbox One, PS4, and personal computer, you have come to the right place. Get Call of Duty Infinite Warfare at very low prices from your favourite UK retailers such as Amazon, Base, Cashgenerator, CDKeys, Currys PC & more. We have a team of money-saving experts and a community of bargain hunters who constantly look for the best bargain deals, latest sale, discounts and voucher codes to post and share for our members. Make the most of low Call of Duty Infinite Warfare price and remember that pursuing quality games affordably does not mean you have to settle for less. Watch out for updates and posts so that you can save more from your purchases for Call of Duty Infinite Warfare PS4 game. Amazon. Own the Call of Duty: Infinite Warfare for PS4 at a cheap price. Call of Duty Infinite Warfare Amazon is the answer if you want to purchase one without spending more than £13.00. There are also offers like Standard Editions with Extra Content and Pin Badges which are only entitled to Amazon Prime Members only. CDKeys. If you want a digital download for Call of Duty: Infinite Warfare PC at an affordable rate, CDKeys is the retailer for you. Get this version for just £3.00 and save a lot from your purchase. Aside from this, you can also choose from Black Ops III 3, Advanced Warfare PC, Modern Warfare 3, Ghosts - Season Pass, Ghosts PC, Black Ops II 2, Black Ops 4 PC, WWII - Season Pass PS4, among others. Currys PC. Currys is aware that the gaming landscape is dynamic. Hence, it ensures that it features the latest generation of gaming consoles that are integrated with advanced technology. This retailer expanded its game range which includes Call of Duty, which is now available for PS4 and Xbox One. It also comes with a selection for Wii U games. Enhance your gameplay without hurting your budget. Apply voucher codes for more exciting offers from Currys. eBay. For as low as £10.00, get Call of Duty: Infinite Wars (Microsoft Xbox One, 2016) from eBay. You can also choose from different Call of Duty Infinite Warfare versions including Call of Duty: Infinite Warfare w/ Zombies Terminal Map, Call of Duty Infinite Warfare Xbox One with Zombies Brand New Factory Sealed, and many more. GAME. Visit Game and browse through its Sale section to see the deals it has for Call of Duty: Infinite Warfare. You can buy pre-owned editions that are sold in not more than £10.00. GAME also has new releases that you can pick from. Most of its features are compatible to PC, PS4 and Xbox One. Get one of these deals now. Infinite Warfare drives its foundation from Black Ops III. Hence, it has introduced mix specialists and pick. This only shows that you can select and pick between your ability and weapon. As this occurs, you can allow experimentation so that you may find the perfect mixtures and combinations to test your Rigs. These are referred to as the Payloads and Traits, as compared to the Special Weapons or Special Abilities which are common in Black Ops III. The unique feature of Payloads and Traits is that each of its six Rigs have three that you can also pick from. For instance, you may select one Payload and One Trait before going into battle. Now, what makes the Rigs of this version commendable is that they are designed for every type of play style. This is a way to get up close and personal with the enemy. With Call of Duty: Infinite Warfare, you have varying weapons to choose from. As a matter of fact, it would be nonsense to utilise the same weapons for Infinite Warfare over and over again. When you do, you might limit the XP you can obtain from every match. This should not occur. So try as many weapons as you can. This is how you earn a higher XP. The same is also true with more equipment and attachments you can unlock in the process. The least thing you would want is to be stuck in a rut. This should not occur with this game. When you decide to venture on this game, you are preparing yourself for many more challenges. You can start by signing yourself on a team mission or just going to multiplayer if that suits your preference. Regardless, you will still be encouraged to complete a set of challenges given because of every map available. It does not matter whether you plan to kill members of your enemy team using a certain weapon, or you intend to destruct melee. The mode changes from map to map. Do not fail to level up your mission, together with your Mission Team. At the end, you might want to keep your eye on the top-right hand corner even prior to the start of your match. In the modern gaming today, it cannot be denied that Call of Duty is responsible for the various major trends that surfaced. It does not only set the standards for first-person shooter games, but in the mainstream gaming as a whole. Since it started in the year 2003, the series explored more in World War II. By 2016, it has brought its players out in space with Call of Duty: Infinite Warfare. Indeed, the franchise expands every year. Call of Duty 3. This was the first time of developer Treyarch. It is also the initial entry that does not have a PC release. When it comes to the World War II games, this can be counted on. What is better about this edition is that it is single-player. It is also simplified from the various stories of its many predecessors. Call of Duty: Modern Warfare 3. Many would like to claim that Call of Duty: Modern Warfare 3 is one of the best additions to the series. It is commendable for it prioritised the game’s multiplayer mode. In the process, it also modified its features for the aim of improving the groundwork from its predecessors. Call of Duty: Black Ops III. There were already many changes in the series even prior to the roll out of Call of Duty: Black Ops III. However, one thing has remained constant and that is the way the games moves to a more futuristic setting. In this edition, the characters are with special suits that are modified dramatically from time to time. Call of Duty: Infinite Warfare. In the year 2016, everyone was trying to call out the series because of their formula and sidelines, most especially for single-player modes. 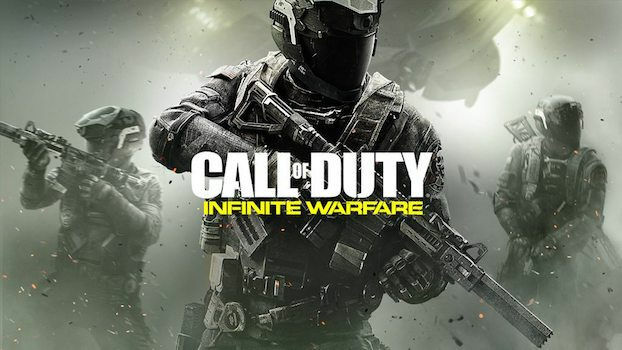 However, this has changed when Call of Duty: Infinite War was introduced with its single-player campaign that set a new environment for the game - outer space. As for the multiplayer mode, craftable guns and agile movements are very visible too; however, the real highlight belongs to its single-player mode.